This long torso punk style corset is fashion and conciseness. 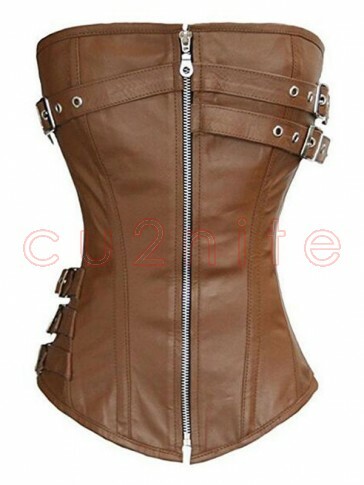 It is easy to wear because of front zipper closure, 3 buckles on chest and waist, lace up at back. Perfect match with punk shrug, gothic skirt or steampunk leggings for punk theme party, costume party, fashion shows or other occasions.